This was our wine of the morning in St Emilion. With an extraordinary lavender-sage topnote to the nose and seriously ripe, concentrated plum and damson fruit on the palate, this was on a different level to anything we had tasted thus far. The tannins were so ripe they simply disappeared and the juicy fruit was counterbalanced by a freshness that we had not found in the majority of Merlot-based wines. The 2009 Pavie Macquin contains 85% Merlot but the 14% Cabernet Franc (and 1% Cabernet Sauvignon) is they key here, adding minerality, poise and phenomenal length. The Wine Advocate - The 2009 is enormous in size, yet broodingly backward, I was somewhat surprised by the astringency of the tannins in this blend of 85% Merlot, 14% Cabernet Franc and 1% Cabernet Sauvignon. It is a big wine (14.5% alcohol), black purple in color, with huge concentration of fruit and beautiful purity, but a good decade of cellaring is required. From a top terroir, this wine is built for the long haul, and I am sure it will be even better than its relatively conservative rating at this point. Anticipated maturity: 2022-2035. Jancis - Fragrant floral perfume. Lighter than most. Drying finish. It actually smells just like Touriga Nacional! A bit porty. Opulent but with good palate freshness and structure. Slightly jagged but long. Deep, bright crimson. Very ripe, alcoholic notes on the nose. Very sweet black cherry flavours – kirsch actually – on the palate. Super-modern elixir. Not my favourite style of wine but some will love it and it’s well done. Not too painful on the finish – just a little drying. Round and juicy and very suave with carefully chosen dry oak. Sinewy and drying. Very cool. Wine Spectator - Superfocused and beautiful, like looking at Mont Blanc with a clear sky and a blanket of snow. 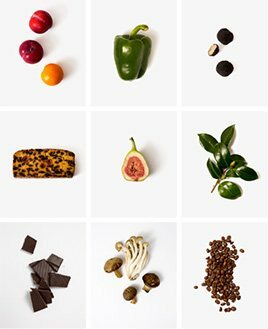 Full and refined, with gorgeous fruit and wonderful refinement. Silky tannins. Clearly the best ever. Parker - The 2009 is enormous in size, yet broodingly backward, I was somewhat surprised by the astringency of the tannins in this blend of 85% Merlot, 14% Cabernet Franc and 1% Cabernet Sauvignon. It is a big wine (14.5% alcohol), black purple in color, with huge concentration of fruit and beautiful purity, but a good decade of cellaring is required. From a top terroir, this wine is built for the long haul, and I am sure it will be even better than its relatively conservative rating at this point. Anticipated maturity: 2022-2035. Decanter - Rich, dense and beautifully textured. Combines an opulence of fruit with an amazing freshness and acidity. Long finish. Ch. 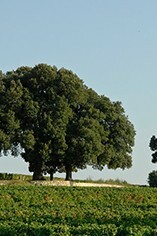 Pavie Macquin, a St Emilion Premier Grand Cru Classé (B), is a property that has hit form in the last 10 years and is now producing first-class wines. Ch. Pavie Macquin is located east of the village of St Emilion and its 15 hectares of vineyards are located on the Côte Pavie, adjacent to the vineyards of Pavie, Pavie-Decesse and Troplong-Mondot. Since 1990 Nicholas Thienpoint, of Vieux Château Certan fame, has been in charge of the property. A pioneer of the Right Bank, Nicolas Thienpoint first pushed the boundaries with organic then biodynamic winemaking in developing the property’s style, helped by his soon-to-be-famous maître de chai, Stéphane Derenoncourt, who joined the team in 1990 and still consults today. 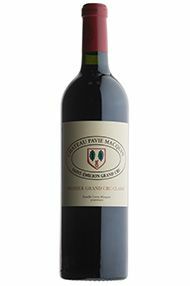 Pavie Macquin's wine is a blend of 70% Merlot, 25% Cabernet Franc and 5% Cabernet Sauvignon.